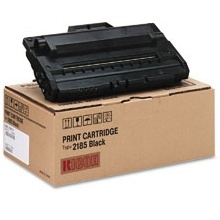 Compatible Black Toner Cartridge with 5,000 page yield. Equivalent to Lanier part number: Lanier 412660. Fits the following model(s): Lanier AC122. Buy our high quality compatible toner for Lanier AC122 with confidence. Join thousands of happy customers who have found our compatible products are equivalent in page yield and print quality. For our compatible products, we offer a 100% Satisfaction Guarantee allowing you to return products within 6 months if you are unsatisfied. The Lanier AC122 can warm-up in less than 45 seconds and will have users printing almost immediately straight out-of-the box. This laser printer has a variety of functions able to work at quick rates that will help increase productivity, including its print and copy features that can produce up to 22 pages per minute. The copier is also equipped with the ability to create a maximum of 99 duplicates from a single document. With a sharp maximum resolution of 600x600 dpi using black Lanier AC122 toner, the copier can produce duplicates that don't lose any quality from the original. 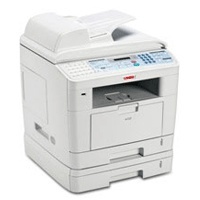 The AC122 also comes with a fax machine that has a modem speed of 33.6 Kbps capable of supporting large fax jobs. Its fax machine is able to send documents at a transmission speed of approximately 3 seconds per page. The machine also provides up to 4 MB, or 320 pages, of fax memory and a ‘send later' technology feature that will allow users to store projects if they are busy and fax them at a later time. For consumers looking to purchase a printer capable of cutting spending costs, the AC122 has an affordable printer toner system. First, compatible replacement Lanier AC122 toner cartridges are available at third party vendor sites that are less expensive than genuine toners. Also, the device operates with only black Lanier AC122 toner, so users will only need to spend money on a single replacement at a time. The Lanier AC122 toner cartridges each have a maximum capacity of 5,000 prints, which will result in a low cost per page. With cost-efficient supplies, quick print rates, all-in-one features and a small compact size of around 17x17x18 inches, the Lanier AC122 can sit comfortably on any desktop and benefit any office.